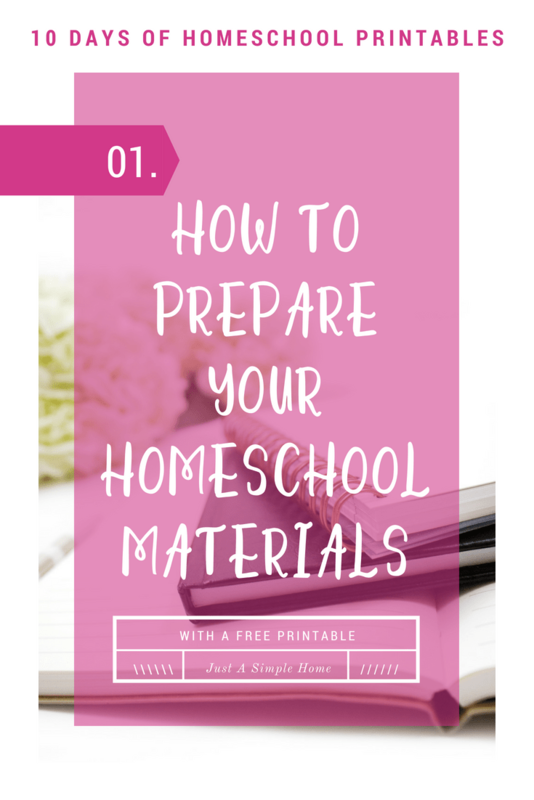 If you have any homeschool curriculum that takes a lot of preparing, you’ll appreciate this printable. Without fail, every year I have a stack of papers that need to be laminated and an even bigger stack that needs to be copied. When you are teaching multiple students, the photocopying can seem never ending! To be honest, I don’t actually mind the laminating. There’s something soothing about it to me, and the kids love seeing the papers transform in the laminator. Whether you like this part of homeschool planning or not, it still has to get done. I found it helped me to keep a running list of things I knew I needed to photocopy or laminate. As I completed one task, I could cross it off the list. Maybe I just like crossing things off a list, but it helped me. You can use this printable all year long, but I find it especially helpful in the summer when I am in planning mode. I feel so much more prepared when I have printed and copied and laminated everything I know I will needs ahead of time. I try to laminate in the summer, for the most part. I don’t mind if I have to make extra copies during our school year, as long as the big projects are already done. 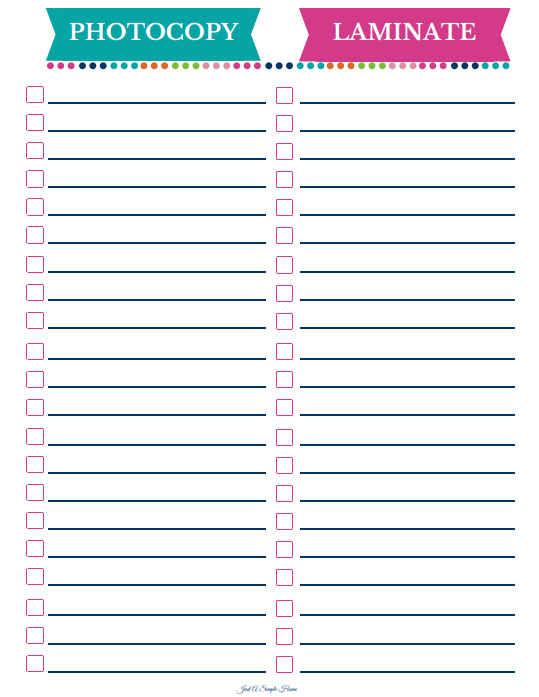 You could always print one of these quarterly and do your preparing that way, if you don’t want to do it all at once. Some of my resources involve a lot of printing and laminating, especially in the preschool years. Having this done before we start saves me so much time and aggravation, and helps my preschooler stay excited, because something is always readily available for her. Patience is something that doesn’t come as easily in those early years! Grab your printable below and have fun preparing everything! Just kidding…but you will love having it all done! This post is part of the 10 Days Of Homeschool Printables! Grab all your printables below!